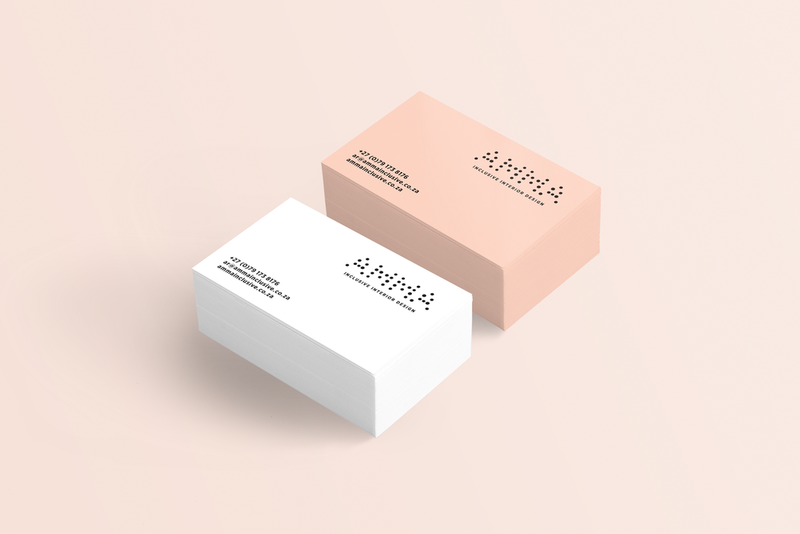 The client decided on the brand name “Amma”, which means “mother” in one of the indian dialects. The subtitle “inclusive interior design” was chosen to communicate her all-inclusive approach to design. The relationship between interior design, nature and time was explored. This resulted in an organic, yet orderly logo using differently sized dots to form the four letter logo. At first, the logo seems simple, but once you study the shapes you will notice how each dot is different to the next - much like living organisms.